Would God Allow His Bride to Go Through the Great Tribulation (And Why)? I couldn’t tell you how many times I have been told the above, or asked it (rhetorically). Most of the time it comes from a staunch pretribber who is not really wanting to find a solution to the dilemma he thinks this question portrays. He is assuming a pretrib rapture is needed for the sake of the “dainty” Bride of Christ. The question itself comes from a common misunderstanding of what the Great Tribulation is and what it is not. There is another misunderstanding on what we as believers should expect in our life of service to God. Let us address both of these misunderstandings to answer the question at hand properly and in concordance with the Bible. The above question is typically backed up with the verse that â€œwe’re not appointed to wrathâ€ as proof that the bride will not go through the Great Tribulation. What those who quote this verse assume is that the Great Tribulation is God’s wrath. It is not. It is Satan’s wrath. The Bible tells us that Satan’s wrath begins when he is finally barred from entry to heaven. Today, as in the days of Job, Satan can still go and accuse the brethren. When he is barred from entering, it will be his signal to begin his short time (3Â½ years) of wrath. This lasts from the 5th trumpet until the 7th trumpet. (For brevity’s sake I will not expound that out here. But my book proves that the 6th seal through 4th trumpet are all a series of related events caused by doomsday star Wormwood, and that the 5th trumpet is the start of the Great Tribulation). Revelation 15:1,7 (NIV) â€” 1 I saw in heaven another great and marvelous sign: seven angels with the seven last plagues–last, because with them God’s wrath is completed. 7 Then one of the four living creatures gave to the seven angels seven golden bowls filled with the wrath of God, who lives for ever and ever. 1 Corinthians 15:52 (HCSB) â€” in a moment, in the blink of an eye, at the last trumpet. For the trumpet will sound, and the dead will be raised incorruptible, and we will be changed. While we are not appointed to wrath and will be rewarded with being born again (John 3:3-8) into a glorified spirit body by then, we do have â€œendure until the endâ€ (Mt 24:13) through much trouble. As a lifelong reader and student of the Bible, it really is odd for me to hear Christians claim that â€œGod would never put his precious bride through the terrible tribulation.â€ Whenever I hear this, I wonder if they are not among the 95% of Christians who have not read their Bible. Because when I read the stories of the saints throughout the OT and NT, I consistently see lives full of trouble, affliction and persecution. Even the ultra-righteous Job has his share. Or when I look out at the world today I see many lands where there is not freedom of religion. In them, Christians today are living in great tribulation. There is a common saying based on this that only rich Western Christians could possibly imagine a pretrib rapture saving us from the Great Tribulation. God has not saved any of those being murdered today for the truth and the pretrib rapture theory to them clashes with reality. They are dying already for their faith in the present tribulations. If you look around at conditions on the ground now and previously in Bible times you see God does not seem to be a doting father who â€œsheltersâ€ his children. He lets us face troubles head on and does not save us typically until the last moment after we have cried out passionately for help (much like the Red Sea crossing). Acts 14:22 (KJV) â€” Confirming the souls of the disciples, and exhorting them to continue in the faith, and that we must through much tribulation enter into the kingdom of God. 1 Thessalonians 3:3-4 (KJV) 3 That no man should be moved by these afflictions: for yourselves know that we are appointed thereunto. 4 For verily, when we were with you, we told you before that we should suffer tribulation; even as it came to pass, and ye know. Why Must We Suffer, Anyway? Now you may wonder why does God work this way with us? This is actually the same as the classic question of â€œwhy does God allow suffering?â€ For the Great Tribulation is just a global and more intense class of suffering at the hands of a Satanic government than we already have had throughout history unto this day. Most Western Christians do not read their Bible (less than 5% according to Back to the Bible). Their expectations for what their life with God will be like are thus based mainly on their experience of playing church in a rich society with freedom of speech and freedom of religion. The concept of real suffering for your faith (which is not simply being put down or having your beliefs ridiculed now and then by skeptics and atheists) is unknown to them in general. Because of this paradigm, when they finally read the Bible, they have a hard time understanding or accepting what they read about suffering experienced by saints or the promises of the same for us, too. Daniel 11:33,35 (HCSB) â€” 33 Those who are wise among the people will give understanding to many, yet they will die by sword and flame, and be captured and plundered for a time. 35 Some of the wise will fall so that they may be refined, purified, and cleansed until the time of the end, for it will still come at the appointed time. Hebrews 5:8 (HCSB) â€” Though He was âŒŠGodâ€™sâŒ‹ Son, He learned obedience through what He suffered. If you are rich, distracted and therefore spiritually poor and blind, trials are the specific prescription that Jesus gives for us as well. Revelation 3:17-18 (HCSB) â€” 17 Because you say, â€˜Iâ€™m rich; I have become wealthy and need nothing,â€™ and you donâ€™t know that you are wretched, pitiful, poor, blind, and naked, 18 I advise you to buy from Me gold refined in the fire so that you may be rich, white clothes so that you may be dressed and your shameful nakedness not be exposed, and ointment to spread on your eyes so that you may see. James 1:2-4, 12 (HCSB) â€” 2 Consider it a great joy, my brothers, whenever you experience various trials, 3 knowing that the testing of your faith produces endurance. 4 But endurance must do its complete work, so that you may be mature and complete, lacking nothing. 12 A man who endures trials is blessed, because when he passes the test he will receive the crown of life that God has promised to those who love Him. The â€œBride of Christâ€ can bring to mind an image of a dainty maiden, one who cannot withstand hardship. However, that is not the point of the metaphor. The point is that we must be “virginally pure” (Rev 14:4) or ready (Rev 19:7). Being pure of what makes us ready? We’re pure or righteous in God’s sight as long as we trust in his word intending to follow it (Lk 8:21; Gen 15:6).Â Our own ideas, man’s religion, man’s ideas, our own thoughts that conflict with or distract us from serving God are the problem. Only those who have shown a steadfastness in following God throughout all kinds of tests and temptations are suitable for the Kingdom of God. Thus, ironically, the method by which we become the Bride every day is exactly what pretrib rapture proponents believe God must not put us through (globally) if we are the bride! The Bible says and demonstrates repeatedly that we must go through much trouble to make us ready. This builds our character, purges our sin nature and increase our faith and wisdom (James 1:1-12). This is the same process that Christ himself went through. The Great Tribulation is just more of the same, except on a global and intensified scale. Therefore it is improper to deny we will go through the Great Tribulation because God would not subject his bride to such a terrible time. He does every day! Revelation 12:14 (HCSB) â€” The woman was given two wings of a great eagle, so that she could fly from the serpentâ€™s presence to her place in the wilderness, where she was fed for a time, times, and half a time. It will be a time of great wonders and community that has not been seen since the First Century, as described in Acts 2. For this reason, I am looking forward to the Great Tribulation without any fear at all. And so should you once you know the truth from the Bible on the matter. So, â€œcomfort each other with these wordsâ€ just as Paul said to the Thessalonians (1Th 4:18). By the way, those are the same Thessalonians who Paul instructed on our rapture after the Antichrist and the Great Tribulation appear (2The 2:1-4). Sabbath Day/Year Commandments – Six Days/Years of Work/Sowing Required? You sure get a A+ on this one old buddy.But remember I was the only kid that ever flunked “Vacation Bible School” Chas. Well put Brother! No matter how you spell it out, there are those who will still be blind and not see and be offended when Tribulation comes and that they have not been “Raptured”. You quoted it best by stating the 1Cor 15:51-52 verse! To them, it still will be a mystery! I like your post about the Tribulum from antiquity Rome, and how it is a weight that is applied to the wheat to remove the seed and separate it from the chaff! I think I saw that post on here. Anyways Thanks again Tim, I look forward to getting your Books, Know the Future, The Mystery of Disunity and Road Map! They will no boubt be worth their weight in GOLD! It is sad that ‘Churchers’ have so much fellowship time on account but so little true understanding in heart. Seems pretty basic to us that have studied and followed your thinking on these matters, what God intends toward the End. This article is also well stated and easily understood. How could anyone that has read their Bible think the body will not suffer? Has any believer gone through their entire life without? Bless God for your efforts to simplify the facts of Truth, and also for Him, making them so very accessible for us in His Word. The Bible says and demonstrates repeatedly that we must go through much trouble to refine our character, purify us from sin and build our faith. This is the same process that Christ himself went through. It may be the same process yet Christ Jesus was without sin. As our sins were paleced on Him at the cross in Calvery. It’s not the process but to say that Jesus Christ had to be purified of sin is wrong. John, thanks. I think my words could have been clearer. But certainly I was not saying Jesus had sin! And certainly none of us have our sin removed by suffering. However, he was purified from sinfulness or the temptation to sin just as we were. That’s what “he learned obedience through suffering” refers to. Obedience is the opposite of sin or disobedience to the law of God. I’ve updated the article to choose a clearer wording. Sorry if you thought I was knit picking but Brother there is a lot of error in today’s so called church. I’ve had a gutful of lies, deceptions and half truths. Please forgive me if I offended you or anyone else I’ts just that I don’tlike seeing Jesus Christ depicted as something that He is not. He is our Lord and Saviour, He alone deserves our respect and reverence. Not at all. You helped me to clarify my meaning. Maybe next time instead of assuming one of the possible meanings intended and stating you disagree, step back and consider the multiple possible meanings that the literal language allows. By looking for all the possible meanings you will help with your own offense. Then you can still help me and go ahead and ask me to clarify which one was intended because it seems unclear. Great post! I put together a short article recently that fits fairly well with your perspective on this subject (you may disagree in part of course). It basically connects the use of the “tribulum” farm board with what tribulation’s purpose is for separating out the usable/storable seed. What you have said here is a good representation of what Scripture is trying to tell us today. I pray the church will be ready but I fear she is not and that is prophetic too. I am so happy you expounded on this critical belief. I perceive it will be a rude awakening for those who believe in the pretribulation dogma. The pretrib dogma, as is “once saved always saved”, is actually only about 150 years old brought about by John Nelson Darby. C. I. Scofield and John Newberry were Darby’s contemporaries. I venture to say, the three of them, and others, really wreaked havoc upon the KJV Bible. I studied for 30 years from the Scofield and his additions to and deletions from the KJV reads like a fairy tale. The Scofield is not for babes in the Lord. I have a question concerning Planet X, but I will post that in the Escape All These Things forum. Again, Tim, thank you and I really enjoyed this commentary. I don’t understand the point of suffering to learn obedience if we will get new glorified bodies and be unable to sin. I don’t think I fully understand the point of this life following the same logic. Not that I don’t understand in part. I have not found a verse that says we are “unable to sin” by nature in the kingdom. I think the temptation to sin will largely be removed, yes, being no longer flesh. But not completely. Look at Satan, a spirit who went astray through vanity. But how can we be rewarded with eternal life until we have proven to be someone who does not want to sin anymore by passing through such tests of obedience? Remember how Abraham was tested ten (?) times and rewarded after God said “Don’t kill Isaac. For now I know you fear God!”? We, too, must learn that sin does not work by experiencing it and coming to the point where we no longer want to do it and it is maybe only the flesh pulling at is that makes us sin at all. Remove the flesh and we probably will not sin anymore in the Kingdom as glorified spirit-bodied sons of God and brothers of Jesus. I Thank You Pastor Tim. I believe it is time for all of us to get our noses in the book to share with others. I’m trying to get as much understanding as possible from Teachers and Leaders. So far yourself and Pastor Jack Hayford is also doing a series right now. Any other resources you can direct me too would be great. I am unemployed right now so my finances are a bit limited. Any suggestions? It has been strongly noted by other Bible interpreters that the churches in Revelations are not mentioned again after the introductory message concerning the churches. That the woman flown to safety is actually Israel. There has always been a belief that the destiny’s of Israel and the church are completely separate and not intertwined. In fact it is not the church preaching the Gospel in Revelations, but the 144,000 of Israel. Apart from this, I so far find your commentaries illuminating and beneficial. They also concur with what God is revealing to me personally about the Lord’s soon return. In fact, so much so, my opposition to Harold Camping’s prediction for a rapture next year was waning from corroborated testimonies. How ever, your expounding on the last trump is agreeable to my personal theology as I believe God will definitely want to refine the church to enter the kingdom. Besides, how will we live in eternity with mayrters and prophets who went through so much with our heads held high unless we do know persecution. I for one want to be able to face them, let alone our crucified Lord. Thanks for your kind comment. It sounds like you are advocating a pretrib rapture. However, a pretrib rapture is not necessary to explain why no church is mentioned after the letters at the start of Revelation or to prove that the Woman is not Israel. My book covers this if you are open to looking at the rapture timing question from rapture timing verses only, not side arguments like you covered. Tim , According to the Bible the casting out of Satan from Heaven is under the Seventh Trumpet, not the Fifth Trumpet. That the Seventh Trumpet blows in the middle of the Week is clear from the fact that there is only a period of forty-two months(Rev.11:2;13:5),1260 day’s(Rev.11:3;12:6), or three and one half years(Rev.12;14) from the blowing of the Seventh Trumpet to the end of the Week. Wormwood is under the Third Trumpet and it only effects the water(Rev.8:10-11). The Seventh Trumpet is not the same as “the last trump” which sounds at the time of the Rapture. Paul knew nothing about the Trumpet Judgments in which John wrote about years later.This all proves that that the Seventh Trumpet kicks off the Great Tribulation, and not the Fifth Trumpet as you claim. The casting out of Satan from Heaven, the flight of the woman into the wilderness, the persecution of the remnant, the rise of the beast out of the sea and the beast out of the Earth, will all happen and will all be completed under the Seventh Trumpet according to the Bible. If we are to go through the Great Tribulation to make us virginally pure or ready then this totaly takes away from the finished work of Christ on the Cross. We are pure and righteous in God’s sight by putting our faith in the shed blood of Jesus. Only the blood of Christ makes us suitable for the Kingdom of God, nothing we do or go thru. You say that the Bible say’s and demonstrates repeatedly that we must go through much trouble to make us ready. You say that this builds our character,purges our sin nature and increase our faith and wisdom. You say that this is the same process that Christ went through. Christ was sinnless and had no sin nature so it wasn’t the same and doesn’t compare. You are getting everyday trials and tribulations mixed up with The Tribulation Period. This isn’t the same either. You say that it is improper to deny we will go through the Great Tribulation because God would not subject His bride to such a terrible time. And then you turn around and say besides all that, the end time escape plan of God revealed in the Bible is to protect His bride on the Earth through the Great Tribulation. He will guide us to a protected place that Satan cannot reach and feed us during the three and a half year Great Tribulation. So do we go through or we protected? I think you meant, “according to My interpretation”…not “according to the Bible.” =) Satan is cast from the earth into an abyss after the 7th bowl, but he is first cast from Heaven to the earth at the 5th trumpet. Go study Revelation carefully and you’ll see this borne out. You have to compare Rev 9 and Rev 12 and all the parts mentioning the woes. 7th trumpet = 3rd woe, 5th = 1st woe, Rev 12 mentions woes. Rev 9 is the 5th trumpet. It’s pretty solid. It takes nothing from Christ. Christ did his work already. Now we need to do ours, growing in grace and knowledge and “to him who overcometh” (Rev 2-3). To pretribbers, telling them we are going to be on the earth for the GT is “going through the Tribulation”. You’re not going to be in your current home, with your current lifestyle and amenities. It will require great sacrifice, a concept that most Americans don’t know the meaning of. Having moved to a ex-third world country/developing nation, I know what going through tribulation is about. God’s escape plan will still be a tribulation as having his protection will require obedience to his instructions that won’t be easy. Jesus didn’t need purification. He was already without sin. To be purified He would of had to have sin in His life. That is impossible or He could not of been the perfect sacrifice. Jesus is fully God as much as He is fully man. He has two natures. The Seventh Trumpet sounds in v.15 of chapter 11 in Rev. The Fifth Trumpet only say’s that a star(angel) falls from heaven and was given the key to the bottomless pit releasing these locusts upon the earth. But under the Seventh Trumpet starting with Rev.12:7-10 is a very clear discription that Satan is cast out here and not under the Fifth Trumpet. He wasn’t cast out twice. Two different incidences, ACCORDING TO THE BIBLE!!! One Woe in Ch.12 and only to the inhabiters of the earth. Again, according to your interpretation. You have to learn to separate the two or your going to frustrate yourself with how dumb or evil everyone else is for not being able to read or obey the Bible like you! There is no 7th trumpet in Rev 12. Rev 12:7-10 is the same fall from heaven as Rev 9 the abyss. Yes, it says star in Rev 9 to throw you off. But keep reading. It refers to the leader of the abyss, the “angel” at the end. That angel is Satan who descends with the key and opens the abyss. God gives him permission when he kicks him out of heaven and begin his grand delusion. Rev.12 is under the Seventh Trumpet which sounds in ch 11 v.15. Man put the chapters and verses in the Bible. You are playing with my words. I didn’t say that the Seventh Trumpet sounded in Rev.12. Read it again. Aha! I see where we are missing each other. You are under the impression that Rev 12 is part of the chronological narrative of 21 events (seals trumpets and bowls) that begins in Revelation 6 with the seals. You don’t seem to realize that Rev 12 is an inset chapter that shows history from before Jesus was born up until the Great Tribulation (5th trumpet). It is not a continuation of the 7th trumpet at the end of Rev 11. Oops! So whats under the Seventh Trumpet Judgment? First of all, it’s not a judgment, no where called that. The 7 bowls are alone explicitly called God’s wrath or judgments in Rev 15. The seals and trumpets show 14 other developments or events on the path toward the kingdom. Skip to Rev 15 to continue the narrative and then you see those raptured up in heaven on the sea of glass. The seven bowl angels pass by on their way to dropping the seven bowls on the earth. Skip to Revelation 19 after the Rev 17+18 inset chapters to see the Day of the Lord/Yom Kippur when the bowls finish with the defeat of the Beast’s armies. Rev 20 starts the Millennium with Satan cast into the abyss (and his fallen angels too), to fulfill the Feast of Tabernacles. I know now that there is no rapture and that we will have to go through the Tribulation. I’ve known that for awhile now. I’ve done my research. However, the thought of it scares me to the core, and I think those that have already died are very lucky. My family is deadset on the rapture happening, and I’m scared for them and myself, for they might not survive and I may be alone. Being only sixteen years old (+7 years in between), I don’t think I’m going be able to make it on my own. I want to trust God, but like you said, obedience is going to be difficult, and one of my main obstacles in my faith is trusting God. I’m afraid for the unsaved part of my family and the ‘rapture’ side of my family whose faith might give away when they realize there is no such thing. I feel like such a coward. Do you have any words of advice for me? Thank you so much. If you read Tim’s Book “Know the Future” you will see there is an escape for the elect. Now go buy and read the book. Praise God for giving His gift of teaching to you Tim! And bless you bro for your obedience to Him and His word. I’ve found it very refreshing to read your articles, which beautifully bring together a lot of the bible passages and prophesies that I have been studying in a piecemeal way for many years. It seems that some of the high profile pretrib bible teachers in the U.S. have a loud voice in Christian circles, but you offer a solid biblical (and i believe Holy Spirit inspired) refute to this. Thank you. Tim, I have already pretty much separated myself from the traditional church over the last few years. Sometimes I almost feel like a nut, but the more I read through the bible the more the church (traditional) seems to go a differant way. A lot of issues not just the end times. I am encouraged to see I am not alone. I have enjoyed your book, and I’m in the process of going thru all the scriptures to make it real knowledge to me. I don’t doubt you could write another book on “pastors” and “tithes”. when you say “bride”, are you meaning the church? Who you believe is the bride of chris? Bride means the Bride of Christ. This is not exactly the church. The church is only the “called out ones” (Greek: ekklesia) and it includes the Laodiceans who are lukewarm and not completely righteous. The Bride is the righteous who are called, chosen and faithful (Rev 17:14). Thus it is a subset of the church. I find I have to agree with CustodianMan on one point at least. The 144,000 are ALL the people of Israel (jews and joes if you like). We know the Jews, but we don’t know the Joes – but we do know (taking God’s Word literally where possible and makes sense to do so) that these are the people who are called to witness, in a special way. I might be a Joe, but I doubt it. I also doubt I can be one of the 144k as I am no longer a virgin and this is one of the requirements Rev 14 v 4. Also the woman is most definitely referring to Israel. I believe, though can’t back it up at the moment that those who flee to a place prepared for them are those of Israel who say “Blessed is He who comes in the Name of the Lord.” When the Jews recognize Jesus as Lord – isn’t this a great sign to look for, and the Lord will protect those who call on His Name. If the 5th trumpet were for Satan then the locusts released from the Abyss would attack believers, but they don’t, they attack the unbeliever. Unfortunately, you have managed to get your timings confused as Rev 16 v 15 testifies. These are words spoken to the church on earth. This isn’t for the unrepentant. These are words for all the virgins – the wise and the foolish. The seventh Trumpet is not the last Trumpet. The last trumpet I believe is a War Trumpet, a trumpet for setting out and of return. Rev 19 v 11. When Jesus returns he comes to make war. His own will rise to meet Him and so not be in the last battle (except potentially as spectators.) But this is the time when Jesus returns. Otherwise you make the same mistake pre-tribbers do and have Jesus come twice. The wrath is also clearly targeted at those who worship the beast Rev 14 v 9 – 13. Finally what does the phrase mean that God’s wrath is completed. At first it seems a nonsense, because the Bible tells us elsewhere that God’s wrath leads to the lake of burning sulfur. Roman’s 5 v 9 teaches us that we are saved from God’s wrath through Jesus. There are other instances of God’s wrath being completed throughout the Old Testament. So God’s wrath can refer to different things at different times. There is the eternal wrath which leads to hell and the localized (in time) wrath which is referring in this case to an end times wrath reserved for those who accept the mark etc. Again note that Rev 16 v 2 “ugly and painful sores broke out on the people who had the mark of the beast…” This suggests that there were people who didn’t have the mark of the beast and who didn’t suffer these sores. Just like the 5th trumpet event, only those who had received the mark were tormented. The Great Tribulation is great, because both God’s wrath and Satan’s wrath is poured out. It will be a time of decision, no longer will you be able to sit on the fence. Remember this too – God wants no-one to perish, but for them to be saved through His Son. I believe that this is possible until the moment that Jesus returns – from that moment it will be too late. about his Word.! God bless you all for trying to reach the truth and to Tim for preaching it. There are so many things wrong with your tribulation timeline. You fail to recognize that the 7 year tribulation period is the 70th Week of Daniel, which is spoken of in Daniel chapter 9. The 70 weeks were given for Israel to make an end of sin and to receive their Messiah, who is Jesus Christ. 69 of the 70 weeks have been fulfilled, and then the Church Age began at Pentecost 2000 years ago. Israel was scattered into all of the nations until the Balfour agreement was signed in 1917. Slowly the Jews started coming back to their land, culminating to the 1948 declaration of the nation of Israel. Ezekiel 36 & 37 were fulfilled during that timeframe, and Israel is about to enter into the 70th week of Daniel. If you are one of those believers that thinks the church replaced Israel as God’s people, you need to read Romans 11! Replacement theology is wrong! The 70th Week of Daniel is all about Israel getting rid of their spiritual blindness, and finally recognizing Jesus Christ as their Messiah. They will then enter into the Millenial reign of Christ, which is the Day of Rest(7th Millenium of human history). Israel is the focus of the tribulation period, and the Beast will try to destroy them during that time. When he commits the Abomination of Desolation halfway through the 70th Week of Daniel, the Jews will then flee to the mountains to hide from him during the last 3 1/2 years of the tribulation period. These are the true facts about the tribulation period from the Bible! No, it’s just your opinion, not facts. No, the Church did not replace Israel, however the 70 weeks happen here on earth so they affect everyone. Maybe you are one of those believers who thinks there’s a pretrib rapture so the church is not on earth for the 70th week? Hi Tim, I’m not only enjoying your book but extremely thankful for it. I was a PK (preachers kid) raise in the pretrib rapture thing (I’m 50 something now) and kept it a secret that I couldn’t believe it. Through all the years of God’s workings in my life, He never did anything that was silly, redundant and didn’t make sense. Why would we go up in the air to sit and wait for the Trib to be over and then come back down? First problem for me was the woman with a place prepared in the wilderness. Didn’t make sense. So, I waited patiently, all the while believing that someday someone would come along who would have the Godly wisdom and understanding to put this all together in a way that was “real”. And this is it! THANK YOU!!!! I have a question too. The woman is given two wings of a great eagle. I know you must have seen this. Eagle = USA? OK; previously the wings are broken off from the Lion (England) and then farther on is Babylon (American) being destroyed. I agree with all of that. But, there it is again. Two wings of a great eagle. Hmmm. Any new insight there? I know the “church” in America is Laodicea for sure – but there is also a fairly large collection of “saints” in America under the main radar – could they be the true, hidden “great eagle”? I know this is purely speculation. You’re welcome. Thanks for your support. Exodus 19:4 (HCSB) â€” You have seen what I did to the Egyptians and how I carried you on eaglesâ€™ wings and brought you to Me. place in the wilderness, where she was fed for a time, times, and half a time. To show that the eagle’s wings denote divine providence, protection, guidance, miracles. We’ll have the same help for our exodus that they had in the Exodus. Tim enjoyed your post. I grew up being taught pre-tribulation rapture. The whole â€œGod did not appoint us to wrathâ€ theory was instilled in our heads over and over. Last year I began to question everything I had ever been taught. I have spent so many hours, days, weeks and months searching internet articles on so many different lessons we could learn from the Holy Bible. In the last 12 months, I have learned more than I ever had in the last 30 years being a Christian. GOD is great when one seeks the truth. 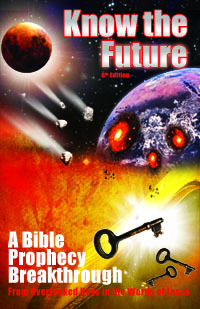 As concerning the rapture, I now truly believe with all my heart and soul it will happen as the Holy Bible tells us. At the last trumpets call. The church does and will go through the Great Tribulation. One thing I learned is that tribulation and wrath is not the same thing. Many people I been sharing my new knowledge of the Holy Bible have no idea how far apart those meaning are. Somewhere in one of the replies I read someone state that the church is not mention again after Rev. chapter 4. Here are a few scriptures I found concerning the saints during the Great Tribulation. Revelations 5:8, 8:3,4, 11:18, 13:7,10, 14:12; 16:6, 17:6, 18:24. Also one last thing I want to share with you. The first resurrection and the rapture are tied together (1 Thessalonians 4:15-16). You canâ€™t have one without the other; first the Resurrection then Rapture, all in the blink of an eye. How then can pretrib claim the Rapture happen before the first Resurrection? All of the seven angels are God’s angels. If you look at Rev 15:5-6, you see the last 7 bowl angels coming out of God’s Temple there (!). But do not misunderstand that if God announces something, it does not mean he causes it. He just knows everything and is letting us know about some of the important stuff. Be clear that Rev 12 calls Satan’s descent at that time of being with great wrath. The Great Tribulation therefore is Satan’s wrath which is why takes over the world and kills and martyrs so many beginning then. Thank you Tim for your explanation. in the 7 Trumpets ,God or Satan and why? Trumpets 1-4 seem to be the natural causes of the wandering “Nemesis” star referred to as Great Star Wormwood. Trumpets 5 and 6 seem to be Satan. Trumpet 7 is the rapture right before “no flesh would be saved alive” but it’s unclear if that is Satan’s fault or natural causes again. See http://www.youtube.com/watch?v=uBspKffP2ME and http://www.escapeallthesethings.com/two-keys-bible-prophecy.htm for more on the Wormwood star that is so key to understanding end time Bible prophecy. Rev.9:4 And it was commanded them that they should not hurt the grass of the earth, neither any green thing, neither any tree; but only those men which have not the seal of God in their foreheads. Satan commanded to hurt “those men which have not the seal of God in their forehead”? Yes, Satan would have to honor what God says. Remember the story of Job how he was permitted to affect him in only certain ways and not take his life or touch his body (at first, only his possessions). I think it is vocalized for our benefit who they are to hurt. They can only do what God allows. God does not use His angels to do Satan’s wrath. Jesus said in Matthew 24:29 that immediately after the tribulation(refered earlier by Jesus as the great tribulation in Matthew 24:21)of those days shall the sun be darkened,and the moon shall not give her light,and the stars shall fall from heaven and….. That fitted to Seal 6 of Rev.6:12,13. The coming great tribulation will therefore be Seal 4 and 5 of Rev.6:7,8,9. Seal 6———immediately after the Great Tribulation. Matthew 24:21 For then shall be great tribulation,such as was not since the beginning of the world to this time,no,nor ever shall be. Please compare with the following verses. Rev.6:7 And when he had opened the fourth seal, I heard the voice of the fourth beast say, Come and see. Satan will be given the power to kill one fourth of the world population;one and half million people including the saints? Had this happened before as far as Satan was concerned? Is it going to happen soon? Where are we now as far as His Seals are concerned? Please remember that there are only 7 Seals and the 7th seal is the most dreadful because it is God’s wrath upon Satan and his supporters worldwide. Where will be the Body of Christ when the great tribulation begins? Please stay tuned. Thank you. great tribulation will be after the 3rd Seal and are we in the 3rd Seal now? Please listen:” A measure of wheat for a penny,and three measures of barley for a penny;and see that thou hurt not the oil and the wine.” When food becomes very expensive then the world could have reached the peak of the 3rd Seal. Has not peace already been taken from the earth after 911 and the great wars of Irag and Afghanistan that followed and that was the 2nd Seal? The bow without the arrow of 1st Seal could not hurt and kill;was it the intense spreading of the Gospel in the ’60s? Time will tell . Thank you. We’re awaiting the 6th seal. 1-5 are done. Yes, the trumpet angels are God’s not Satan’s. But you misunderstand if you think the ones blowing the trumpets do anything more than that. They announce what is coming on the earth, they do not cause it. Satan is the author of the Great Tribulation that lasts from the 5th trumpet to the 7th trumpet. Sorry to cut in but we are very eager to know whether the Body of Christ(the Church) will go through the great tribualtion. With thanks. as the scriptures have the answers. with wars and rumors of wars. Famines with rising food prices continue here and there. It looks as if Seal 1,2 and 3 have been opened but once each Seal is opened it is not done but continues . Seal 1 was not closed when Seal 2 was opened and Seal 2 was not closed when Seal 3 was opened. In other words all opened Seals continue on. However when is the Church which is His body is to be caught up to meet the Lord in the air? Please notice that the Lord has to descend and the dead and alive have to ascend in order to meet. The reason that the dead and alive are not caught up directly to the throne to meet the Lord is that they are members of His body and that He is their Head. The Lord must be united with His body first before being caught up to the throne to present Himself as the â€œcomplete Christâ€ to God the Father. At last Head and Body are united as the â€œMan Childâ€. Another thing to note is thatâ€ and so shall we ever be with the Lord.â€ Let us read â€œRev.7:15 Therefore are they before the throne of God, and serve him day and night in his temple: and he that sitteth on the throne shall dwell among them.â€ Isnâ€™t the great multitude of Rev.7:9 the dead and alive in Christ being united and caught up to the throne? When John saw the great multitude it was already there ! When did they arrive at the throne? According to the elder â€œThese are they which came out of great tribulation,â€ â€œcame out ofâ€ is defined as being removed from or not involved in. In other words the great multitude had been removed from the great tribulation. Wow ! The great multitude will not be involved in the 4th Seal which is the great tribulation. Now let us turn to Rev.12 which described the scene just before and at the beginning of the great tribulation. 12:4 And his tail drew the third part of the stars of heaven, and did cast them to the earth: and the dragon stood before the woman which was ready to be delivered, for to devour her child as soon as it was born. And there was war in heaven: Michael and his angels fought against the dragon; and the dragon fought and his angels,â€ The war happened because the dragon chased after the man child when the man child was caught up to God. 12:12 Therefore rejoice, ye heavens, and ye that dwell in them. Woe to the inhabiters of the earth and of the sea! for the devil is come down unto you, having great wrath, because he knoweth that he hath but a short time. Isnâ€™t it clear that when the dragon/devil/satan is cast down from heaven with his angels the great tribulation is about to begin? Anyoneâ€™s response is most welcome. Jims,you have shown a few interesting points. 4.”came out of” as being removed from. I am satisfied with your presentation but I have been wondering why members of His body do not have to go through the great tribulation. Thank you very much. It was the elder in Rev.7:14 who said that the great multitude was removed from the great tribulation. That was sufficient even if there is no one now on earth believes. If the Head(Christ) does not have to go through the great tribulation does His Body(the Church) have to ? We know that Eve was Adam’s body because she was taken out from his body. Before they were united in the flesh as one body she was his bride. Therefore before she was united with him in the flesh she was his body and bride. Likewise members of Christ’s body have not yet united with Him in glorified(spiritual/incorruptible) bodies and so they are His Body and Bride now. degree as Paul or Christ did? Here is an example of God’s prerogative. at the throne they have other dates to keep such as their Marriage and Marriage Supper,the Battle of Armageddon,His Crowning as Kings of kings and Lord of lords,etc. Let His will be done. Alleluia ! The 24 elders and the four living creatures were singing together the same song(Rev.5:8-10). If the 24 elders were redeemed from the earth the four living creatures must be also but were the four living creatures redeemed from the earth? I believe that the two groups were celestial beings. Please compare the following versions. The NASB was said to be from older manuscripts. What do you think? Thank you. 8 When He took the scroll, the four living creatures and the 24 elders fell down before the Lamb. Each one had a harp and gold bowls filled with incense, which are the prayers of the saints. 9 And they sang a new song: You are worthy to take the scroll and to open its seals; because You were slaughtered, and You redeemed [people] for God by Your blood from every tribe and language and people and nation. 10 You made them a kingdom and priests to our God, and they will reign on the earth. Just read your link on tithing. I am a tither and have to say that I have seen so much blessing in mine & my family’s life because of honoring God with our first fruits. I can’t agree that tithing is a sin. The bible says where your treasure is, there will be your heart also. So many people say they trust God, but yet fail to trust him to supply their needs so they will not give 10% of their income. It is a matter of the heart and if you don’t tithe one needs to question why they are not fully trusting God. He wants all of us not just certain parts of us that we are willing to give him…it’s all or nothing! Darlene, I agree tithing is not a sin. It’s just not required or commanded to all men. And that’s exactly why as you say it can be such a blessing. It’s more meritorious to do something not required. Giving is already has a built-in blessing. Keep it up. Great Insights.whoa!!! Amazing simple Truths!!! Thanks God, thanks Tim. I really appreciated your great effort in presenting this simple but great Truths in a simple way that my simple mind will understand. God bless you, as always be with a contented and happy heart in sharing His word. Tim you are spot on with were waiting for the 6th seal, and I had a situation in my life where my son was diagnosed with a deadly disease and I turned to god to ask for understanting and read my bible and it started to make sense, God saved my son, and ive been studying the bible ever sense. You are right the more you seek the more the spirit will help you find and yes the book of Daniel is the key, but I want to ask you a question, do you know the appointed time in which he is coming back, the Bible was written so we would know and those who seek would understand, I havent read all your stuff yet but so far what Ive read of your work is spot on, but Im asking you again if you know the appointed time. If not I think I can help you on this subject based on the bible. I will wait and see if you respond to this, the email address is my wifes. Darrin, no man knows, including me. See http://www.escapeallthesethings.com/no-man-knows-the-day-or-hour.htm and http://www.escapeallthesethings.com/parable-of-the-fig-tree.htm and http://www.escapeallthesethings.com/2013-prophecies.htm for why. http://www.escapeallthesethings.com/doomsday-date-setting.htm shows the track record of those who think they know. I agree, I also like the post about tribulum how it is separating the weed, straw from the grain seeds. I agree there will be many disappointed Christians who will begin to question their faith when they did not get included in Rapture. I argued with a Christian friend about this but he refused to listen to my point. Anyway, when I was persecuted by my parents about my faith, I read revelation and I felt the fifth trumpet has already started on me. Like you said, I agree that the start of pre tribulation started on me 6 years ago. Is it possible that we are all experiencing Revelation at different times? What I mean is like I experience the fifth trumpet while dying persecuted Christians are already in the seventh trumpet? Anyway, good article I enjoyed reading it. Acts 14:22 (ESV) strengthening the souls of the disciples, encouraging them to continue in the faith, and saying that through many tribulations we must enter the kingdom of God. We are now past the 4th seal awaiting the 6th seal. The 5th seal is talking about martyred saints in heaven with no counterpart event on earth so we cannot know when that happens until the 6th seal happens. Tim, being human, I do appreciate your views in this one. But I really think something is missing. Where will the marriage supper of the Lamb/”Son of God” be held in your opinion? Is it true that the wise virgins will be accepted and never will the foolish ones to that event which will be specifically held in “the father’s house?” Isn’t it true that the foolish virgins are still in the favor of God, Our Father, due to their enduring virtue, which is being virgin which can be interpreted as being true to the faith in spite of terrible persecution? Anyway, all I know, Jesus prepared us a place in His Father’s House. So, I firmly believe the Wedding Banquet will be held in Heaven, an antitype of tremendous persecution here on earth. I agree the wedding feast is in heaven as Rev 15 together with Rev 19 may be depicting. Tim, I have read your interpretation of the ten virgins in the link you posted and I beg to differ to most of your main points in that link and in this particular “revolutionary explanation” post. Although I am not Jewish, and so, is not accustomed to Jewish marriage ceremony, I have read about that marriage custom in the Bible and other historical books. The parable itself is a very wonderful and multifaceted depiction of Marriage Supper of the Lamb. The main reason why the Bride was not mentioned is because the parable is about perfect service, exclusivity and sacredness and a rejection of any form of untimely compromise. Only the disposition of the ten virgin servants can depict that, not the disposition of the virgin bride. So, the oil is the revelation of Christ in us, and not the Holy Spirit per se. The fire of the lamp is the Holy Spirit in us. The contrasting levels of oil depicted the cherish of completeness of all testaments against the partiality or humanistic approach of the testaments. And so, what was bought by the foolish virgins are oil of compromise from unreliable merchants, to which it can be modernly depicted as teachings from Christan bookstores/bookshelves/websites of conflicting ideologies/interpretations. Therefore, the Marriage Supper of the Lamb is a Heavenly celebration just after the pre-Great-Tribulation rapture. Furthermore, this parable is an exquisite expounded human-relationship view concerning the significance of the first-fruits perfecting ceremonies between barley and wheat harvests and the necessary role of the tribulum for the completion ceremonies of the great (or end-time) harvest. I have left a lot of relevant details of that one majestic parable. Its perfect revelation concerning end-time events makes it logical that the interpretation of Jesus was not written in the gospels but can only be understood by the revelation of the Holy Spirit for those who earnestly seek. Thanks for your time into these things, Tim. Julius, I have a hard time with the premise that the Holy Spirit is the needed to understand Jesus’ parables (or any of the Bible). If the Holy Spirit is not some kind of super decoder ring needed for the Bible then how could the Bible convict the simple who lack the HS? It makes no sense that to understand the prophets you don’t need to be a prophet yourself (or otherwise spirit-filled person). But by searching out the cultural context and considering the rest of Jesus words and parables, you can come to the intended meaning of any parable. The Bible is a rationale book. As any commentary will tell you, the scene of this parable was not some contrivance that Jesus inserted multiple hidden symbols into to teach us multiple aspects about the marriage supper and getting there as you posit. He took a common cultural scene of his day to teach the one message it plainly expresses at the end: always be ready because you don’t know when he is coming. Tim, although I am a bit saddened by your statement, I still honor your stand. Yet I do encourage you to press on further into seeking the “whole” truth, yet not to the extent that “you press too hard on the olive press” because our Lord (or the Temple of His Spirit) has already taken that extra weight from us–acknowledged by his cup of bitter portion (or oil of the final press)–in Gethsemane (translated “oil press”). In God’s economy, we are only given enough olive fruit to adequately extract the virgin oil to amply fill up our lamps, so it is a big waste to throw some by not pressing enough. Also, the fire (Holy Spirit) stay as long as the oil (unraveling of Jesus Christ) continually reside on the lamp (our soul). I hope you don’t get me wrong by imputing that my posit rendered the parable a “contrivance that Jesus inserted multiple hidden symbols into to teach us multiple aspects about the marriage supper and getting there.” On the contrary, what I presented in my previous comment is very easy for young Christians to understand without them delving into intricate biblical numerology, thorough historical findings and extensive knowledge about the original Hebrew or Greek texts of the scriptures. In my honest opinion, what I just recently discovered is coming from the impression of the Holy Spirit, not from any Christian publications: I have not yet encountered Christian teachings/sermons that stated “oil of compromise” or something liken to that effect. In short, the idea is spontaneous. If I had acted like a grown man with all my preconceived ideas, I could be very numb to such spiritual impression. Let us dig in further, please. What the master had witnessed as he heeded their calls, such that he concluded he didn’t know them was not just the mere fact that they are outside the door or that they look and sounded disheveled and weary (and perhaps sweaty). Their lamps were faltering and of different scent. Even impostors can trump the appearance of the wise virgins, so the groom dismissed those outside the door altogether as among those he did not know (plus there was no testimony that they were dragged outside forcibly by evil plotters). Furthermore, let’s be circumspect in understanding the role of the Holy Spirit, the Comforter Jesus had promised to every believer. Peter, in contrast with Pharisees (or defender of Jewish historic traditions), was blessed when he proclaim Jesus is the Son of the Living God, because God’s Spirit reveal the truth to him, not his carnal thoughts. Therefore, the Holy Spirit, not Peter, was the Rock of Revelation upon which Christ’s Church is built upon and the spirit-filled Christians (represented by Peter at that exact moment) hold the keys of “God’s Kingdom” which we understand at this moment as “Wisdom” (e.g. Wisdom in Thankfulness, Wisdom in Magnanimity, Wisdom in Piousness, Wisdom in Perseverance). Again, thank you of your time, Tim. Dear Tim and Readers. Much clarity would be brought to this topic if we were able to accurately identify the seven(7) Churches of Rev.2&3 Our church age is clearly Philadelphia,the part of the “Bride” that will be sequestered in a place of safety on this planet earth.God promises us we will not go through the “Great Tribulation” ahead. See Rev 3:10 However,Laodicea – the final part or complement of the “Bride” (the last church age) will go through great tribulation brought on by Satan.Rev 12:17 If we put the “Bride” in that light, then we will get a clear perspective as to whether the “Bride” components of the last days will go through the”great tribulation” Bear in mind I said last days components of the “Bride”,given the fact that many,many saints were martyred before our time. Laodicea is now as Philadelphia ended around a century ago which is how it was “kept from the hour temptation.” See http://www.escapeallthesethings.com/audience-revelation-3-10.htm for details. must watch and hear video on youtube titled, “Christ testimony of the churches around the world.” there are two identical Jesus Christ revelation 17:8. most of revelation is happening in the spirit world. that’s why Jesus said it would be like the days of Noah and Lot. the abomination of desolation is happening in the spirit realm inside all these man made buildings set up for worship. the Christians and catholics, etc are not aware of what’s happening to them and around them in these places, (churches -any four wall building representing God to gather believers of Christ). these churches around the world are all connected to “The Great City” Revelation 11, which is spiritually called Sodom and Egypt and Mystery of iniquity. this email is not a joke. Church leaders around the world are searching of the earthly signs. this will not happen until the very last day and hour. God will not allow man to destroy the earth with nuclear bombs. read matthew 3:12 and Revelation 20:9. God sends his son to the earth with the fire behind him consuming all his enemies which are left from the resurrection of the dead and those that are alive. the body of Christ is gathered as the son of man appears at last sound of shofar, he is coming while the wheat are gathered and the tares are left as the chaff and earth is consumed by the fire of God. Jesus said it would be just like the in days of Noah and Lot in the aspect of how the judgment falls once the righteous are taken out (Noah into the flood protect of the ark; Lot up into the mountains away from destruction on the plain). See http://www.escapeallthesethings.com/days-noah-one-taken-left.htm for more details. My favorite book of the Bible is Revelation. I’ve been “saved” for 42 years and was taught pre-trib. rapture. In fact, my Pastor had a sermon on that very subject last Sunday. Because I have studied more in the past 6 years on Revelation than any other time, many doors have been opened. I believe what has caused us Christians to question the pre-trib. theory is when we watch our brothers being paraded onto a beach in the mid-east ready to be beheaded. Forty two years ago when I read about Christians being martyred during the tribulation and watched the movies “the Thief in the Night” and then “Distant Thunder”, I could not fathom such an evil thing ever happening in our world. Yet, just yesterday I read where ISIS has camps just 8 miles from the U.S. border in Juarez, Mexico. WOW!! I believe like you – the question is “when is the great tribulation.” I see it as being the last 3 1/2 years, as the 7 years begins with the signing of a peace treaty between Israel and Palestine, with the Antichrist signing this treaty. This is still a time of peace for Israel. However, at mid-point or 3 1/2 years into the tribulation is when the Antichrist turns against Israel and demands worship to himself. It seems to me that the “church” is removed right before the 144, 000 come to witness to the world (to replace the born-again believers who have been femoved from the earth?). Now, we will enjoy the marriage supper of the Lamb…..and return with Jesus at the end of the 7 years. The only part that doesn’t fit is what about those who are saved during the last 3 1/2 years? Do they not participate in the marriage supper of the Lamb? Perhaps because they were told about salvation during their life but rejected Him, so they “miss out” on the “marriage supper of the Lamb”. Jesus comes to get His Bride (those who have been watching and waiting for Him and doing His will.) I know we all have questions somewhere along the road about the timing of the rapture, but the most important thing is that we are “ready”. We know it will occur at the Feast of Trumpets, which is in September every year, so being ready for whatever lies ahead and staying true to God’s Word will give us the assurance that we will be with Him in heaven, as He went to prepare a place for us that we may come also. How do you relate the first ressurection in Rev. 20:4-5? “And I saw throne, and they sat upon them, and judgment was given unto them: and I saw the souls of them that had been beheaded for the testimony of Jesus, and for the word of God, and such as worshipped not the beast, neither his image, and received not the mark upon their forehead and upon their hand; and they lived, and reigned with Christ a thousand years. The rest of the dead lived not until the thousand years should be finished. This is the first ressurection. Blessed and holy is he that hath part in the first ressurection: over these second death hath no power; but they shall be priests of God and of Christ, and shall reign with him a thousand years”. That is the FIRST ressurection. I believe the rapture will happen after that because in 1 Thess. 4:15-17 it said – For this we say unto you by the word of the Lord, that we that are alive, that are left unto the coming of the Lord, shall in NO wise precede them that fallen asleep. For the Lord himself shall descend from heaven, with a shout, with the voice of an archangel, and with the trump of God: and the dead in Christ shall rise first; then we that are alive, that are left, shall together with them be caught up in the clouds, to meet the Lord in the air: and so shall ever be with the Lord. Wherefore comfort one another with these words. So, where do you place the pre-trib rapture in these situation? Hi Tim, I agree there is no pre-trib rapture. I was trying to answer one of the guys here named Jims back in 2012 but my reply was posted here. I used to believe the pre-trip since I was child but just recently when I started to studying my own, the bible is telling me a different story. Ive been telling my friends who I used to attend bible study with but they wouldn’t listen, and so I left that church. I’ve been studying since then and I am so glad that I found a few including you Tim. God’s word is so amazing, I just wonder why my friends wouldn’t open up their minds when the Bible is very clear about it. I praise God for you! By the way Tim the group that I left was the trigger why I started to read the bible about the end times that Jesus was talking about. They were teaching us that the rapture was a secret and we would not be around since the church was not mentioned after rev.4, because we are the bride of Christ, blah blah blah… I just couldn’t understand how it would happen because what they were teaching contradicts what Jesus was saying in Matt 24, mark 13 and In Luke. The group tried to shut me down because I wouldn’t stop asking them questions and trying to let them understand, and so I left because I couldn’t take the lies that they were teaching. My heart bleeds for the others that I left behind. I’ve been sharing with them through private messages but it seemed I was no longer welcome to share with them because my messages were unanswered. The church that I left was a mega church here in the Philippines, and they teach pre-trib. I guess they just wanted to hear what their itching ears want to hear. To add the rapture will happen after the great tribulation, after the mark of the beast has happened in rev.20:4-5 which speaks clearly of the first resurrection. Just as Paul warned the church in Thessalonians that Jesus will not come until the great falling away has happened and the son of perdition is revealed. I see that now Jims vs Tim. Glad to help you with my writings. Hello Dianne what Mega Church do you mean in the Philippines? Is it starting with V? This is God’s hour. It’s His time to come back and He’s coming back for a chaste and pure bride. I think we need to get ready for persecution. As Americans we don’t even know what that means. Jesus said this is the beginning of sorrows. I’d say it’s time to be humbled and ready to hear from Him. We pray to hear your voice Lord Jesus. Help us and give us strength as we head into great tribulation. Help us get ready now and to decide now, how we are going to act in the face of adversity. We pray for your help as your end days saints Lord. Let us act and do valiantly in your name. In Jesus name, Amen!